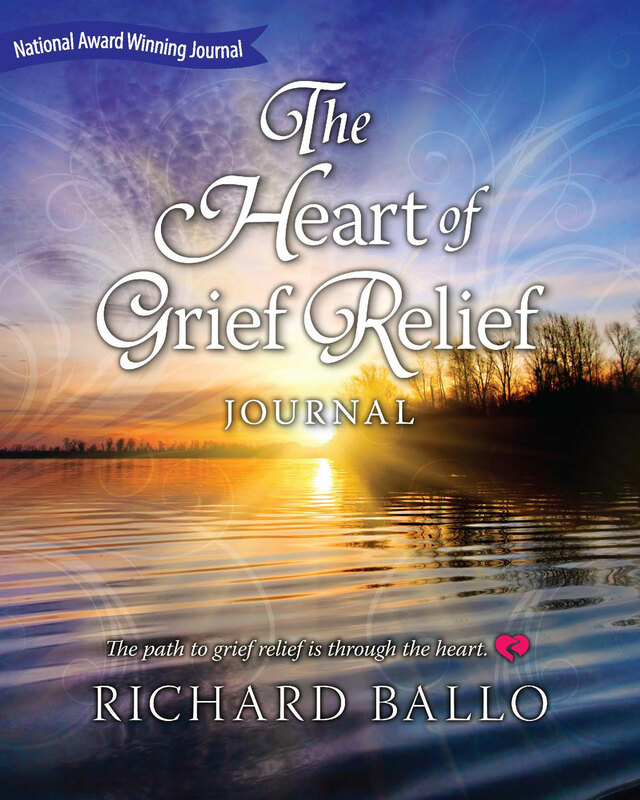 The national award winner, The Heart of Grief Relief Journal, is a journal, a book, an inspiration and a resource guide all rolled into one. 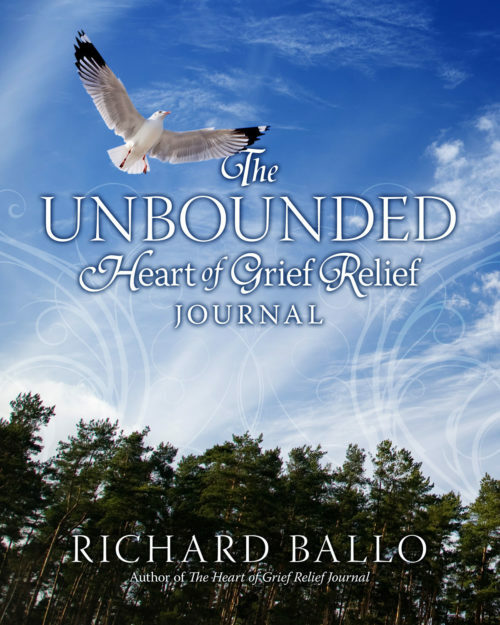 Journaling is an invaluable healing tool and it was one tool Richard Ballo used in his grief healing process. This journal will help you let go of grief in the lightly lined pages and each page has a quote to help you along the way. This beautiful journal is designed to ease your passage through grief, help you heal your heart, and offer gentle wisdom to urge you forward. Each one of the 173 lightly-lined pages contains an inspiring quote for your personal reflection. Also, several articles gleaned from the author’s own grief experience offer invaluable tips to help. Countless studies prove the profound healing that journaling offers. 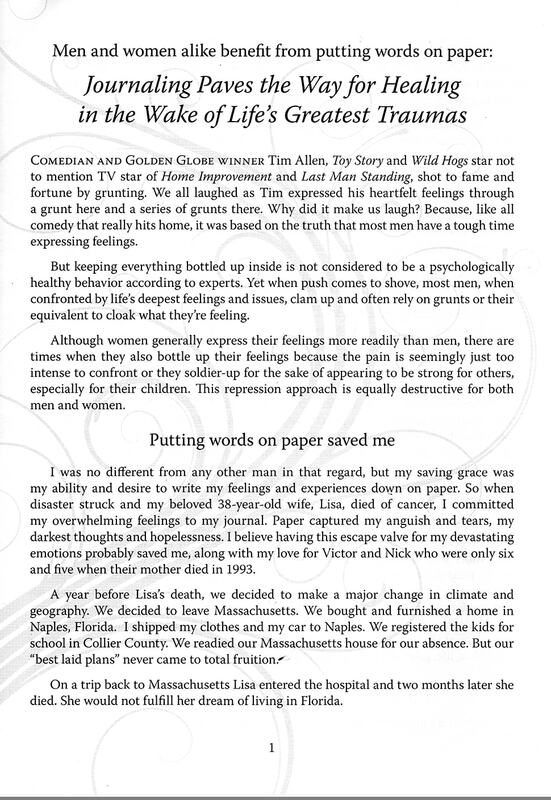 Richard was helped by writing down his feeling, emotions, and experiences in his journal after the loss of his wife. He encourages you to use this simple yet profound tool to aid your healing grief process. The Heart of Grief Relief Journal is unique, nothing in print offers such a wide-range of profound help for anyone who is bereaved. The Heart of Grief Relief Journal, is a place to help you heal by writing your thoughts, fears, feelings, angers and regrets down on each journal page. These pages are your private sanctuary, an invaluable sounding board, and a truly safe place to express the nearly inexpressible. These are your pages, for your words, for your feelings and emotions that need to be expressed. Healing almost assuredly will follow. In addition to the journal pages, this unique book offers articles of wisdom and insights to help you get through your devastating loss. Grief and loss are examined from every angle and your written words are intended to help reduce your level of suffering and get the grief relief you so deserve. You’ll find insight on coping with death, as well as the value of hospice for you after your loved one has passed. Other articles focus on the value of journaling as well as how to get through the Thanksgiving and Christmas holidays, Valentine’s Day and Mother’s and Father’s Day. We are reminded that death is a universal reality without equivocation. Nothing quite like this journal is available anywhere. 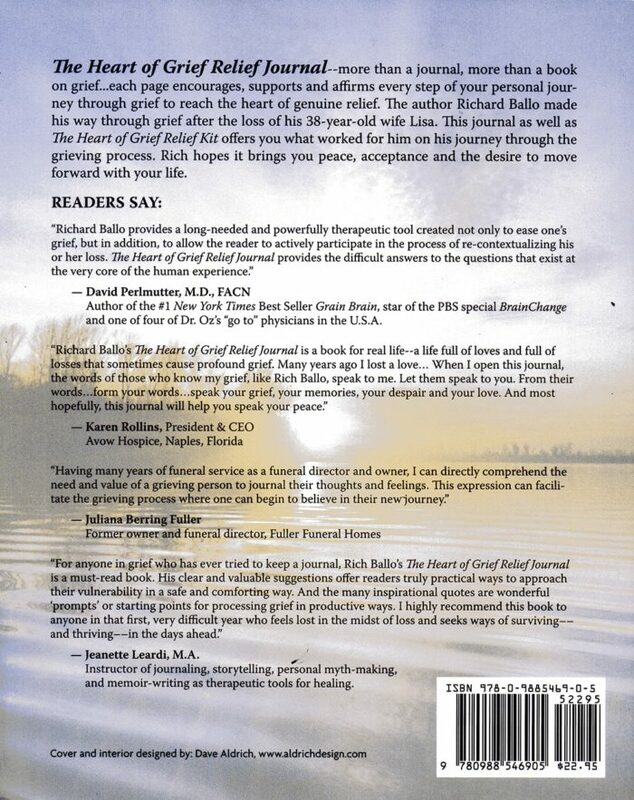 We have put this volume together incorporating those elements that appear to be most meaningful in the healing grief process. Ballo offers it to you with the expectation that you will find solace and healing in its pages. 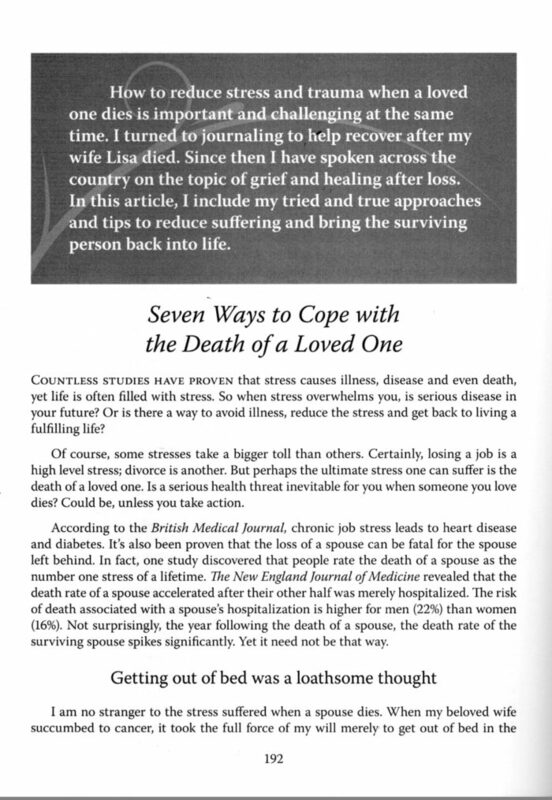 In the back of the journal is a page that provides links to the most helpful grief resources available. You are encouraged to contact any or all according to your desire. Help is there for you in many forms. 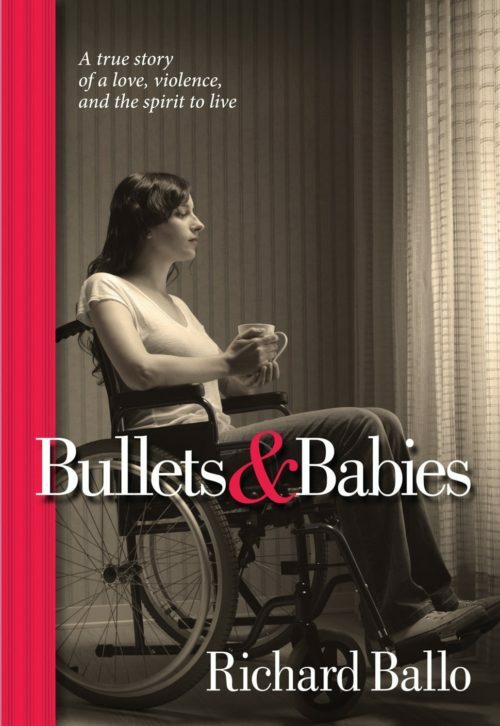 Richard Ballo is an author and national speaker on grief and healing. He brings this journal and healing resource to you because he found writing was a valuable tool for himself. After his experience through grief and what worked for him, he designed this journal as a way to give others a way to express their grief. The interior journal pages are acid free. The ink is soy based and acid free as well. Both paper and ink are archival in nature. Either pen or pencil can be used and neither will fade over time. The paper stocks used are 30% PCW (Post-Consumer Waste). The Heart of Grief Relief Journal features a perfect binding with a lay-flat feature which facilitates journal entries.